Preheat the oven to 180oc gas mark 4. Grease an 18cm round loose-bottomed cake tin and line with baking parchment. Place softened butter in a large mixing bowl with muscovado sugar and beat together until pale and fluffy. Sieve the flour and cinnamon into this mixture. Add the beaten eggs and beat together. Stir in the milk. Peel the apples, cut into quarters, remove the cores. Cut each apple quarter in half again lengthways, then slice the pieces widthways. 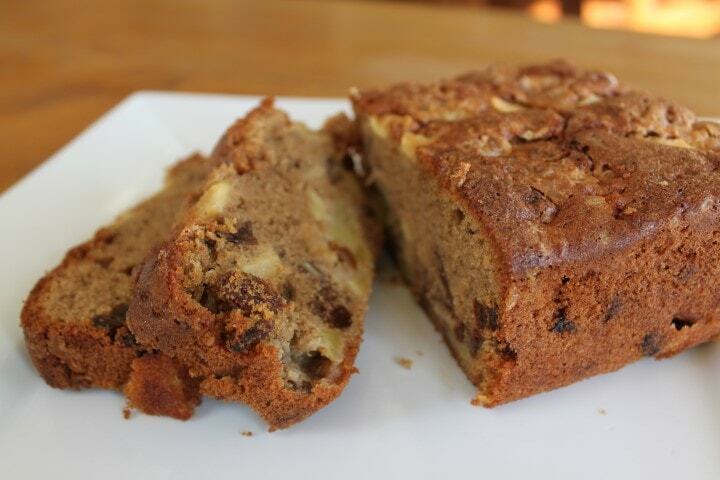 Reserve a handful of the apple pieces and stir the rest, with the pecans and sultanas into the cake mixture. Tip into the cake tin and level the surface with the back of a spoon or spatula. Scatter the reserved apple pieces evenly over the top then sprinkle over the sugar crystals. Bake for 1hour, or until an inserted skewer comes out clean.